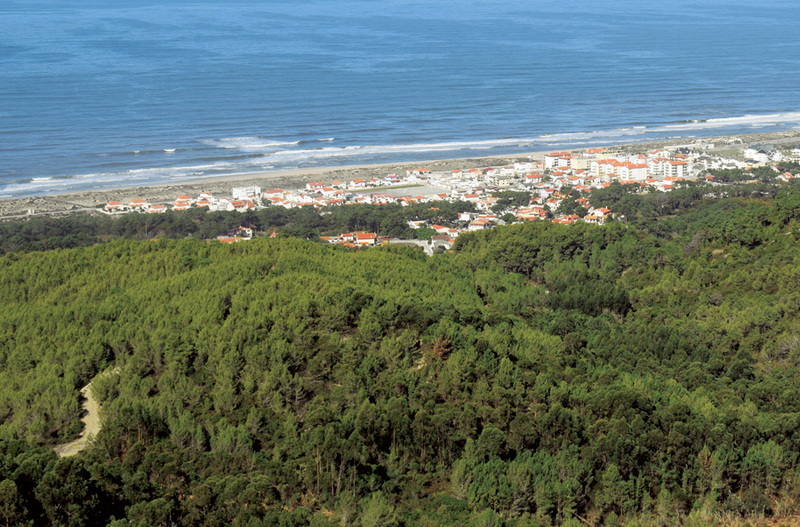 Portuguese wood supplier Abastena uses GIS to help other wood and paper companies obtain and maintain Forest Stewardship Council (FSC) certification. 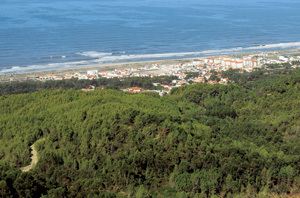 Portuguese paper companies are increasingly taking more heed of their environmental and social responsibilities. Since the growth of the industry depends on one natural, renewable resource—trees—companies are developing their own sustainable management systems in the areas where they work. Abastena is one of Portugal’s most experienced wood suppliers—especially when it comes to operating sustainably. Not only does it provide wood materials to pulp and paper mills, board factories, and sawmills, but it also uses its Forest Stewardship Council (FSC)-certified groups to support forest owners and producers who want to implement responsible land management into their operations, as well as suppliers who want to provide FSC-certified wood materials. As Abastena’s client list and workload began to increase, it needed to make more information accessible to more people in less time using fewer resources. This required shifting from its deep-rooted paper-based workflows to web-based ones. To make this transition, the company relied heavily on the ArcGIS platform—most notably, Collector for ArcGIS and ArcGIS Enterprise. Forest landowners, producers, and managers can easily see which management plan goes with which parcel of land so they can ensure that their management plans adhere to all FSC rules. Prior to implementing the ArcGIS platform, when Abastena would step in to help landowners gain FSC certification, the company’s technicians would take dozens of paper forms into the field to be filled out with information about landowners and their parcels of forestland. An administrative assistant back at the office would convert these registries into Microsoft Excel files, and a forest engineer would verify all the data. The majority of the data was then archived on paper. The information was difficult to access and inconvenient to use when timely decisions had to be made. To turn this into a fully digital process, Abastena first implemented Collector for ArcGIS. Now, using Collector on a smartphone or tablet, one person can gather, record, and verify all the necessary information to determine what needs to be done to a parcel of land so it is eligible for FSC certification. Collector makes it easy for technicians to fill in the data fields, and it traces the geometry of each parcel. All this information is then incorporated into ArcGIS Enterprise in real time, which helps forest landowners, producers, and managers immediately see what they need to do with their land to obtain and maintain FSC certification. The company estimates that this workflow alone now takes a third of the time that it used to. More importantly, it only requires one person to complete the workflow from start to finish, freeing up other employees to take care of other tasks. But that is only one root of Abastena’s whole geospatial system. Relying heavily on Collector for ArcGIS and ArcGIS Enterprise, Abastena has shifted from deep-rooted paper-based workflows to web-based one. Abastena also created an online platform where forest landowners, producers, and managers can see the locations of their properties, as well as all the information related to them—tree species distribution, the years trees were planted, and wood volume forecasts, for example—and their applicable forestry management plans. These users also wanted to be able to identify all the tasks associated with their management plans; eventual restrictions to their work, such as road networks, electrical grids, and ecological areas; and any alerts they should be aware of (if some documents aren’t in compliance with FSC rules, for instance). Additionally, it was important for them to be able to use geography to calculate costs and revenue, just as they use it to calculate risks and opportunities. The company integrated its published data services with its enterprise resource planning (ERP) system and connected all its ERP data to the ArcGIS platform. Abastena could then share its data securely via ArcGIS Enterprise. Now, forest landowners, producers, and managers have easy access to the information they need through an ArcGIS Enterprise portal, which enables Abastena to apply its own security settings and configure the site so it conforms to the company’s look and feel. By accessing the ArcGIS Enterprise portal through the ERP, forest landowners, producers, and managers can see which management plan goes with which parcel of land. Having all this information available via ArcGIS Enterprise helps them ensure that their management plans adhere to all FSC rules, such as preserving or strengthening the well-being of local communities and workers and conserving or restoring ecosystems. Additionally, users can easily see how to combine their own interests and priorities with sustainable forestry maintenance, since the information about each parcel of forestland is readily available in ArcGIS Enterprise. Apps are a key part of Abastena’s enterprise GIS as well. Using smartphones, tablets, or computers, every forestry landowner, producer, and manager has quick and easy access to land management information, including the area of the land, the distribution of tree species, and any restrictions on the land. Forest landowners, producers, and managers wanted to be able to identify all the tasks associated with their management plans. All of Abastena’s information and work is now centered in one single platform that is accessible, both internally and to clients, from any device. The company’s web platform integrates myriad data—photos, land-use information, weather data, maps, and more—all of which changes constantly. But with fieldworkers updating information at any moment, from any place—and with that feeding in real time to ArcGIS Enterprise and the company’s ERP system—Abastena’s clients have all the data they need to obtain and maintain FSC certification and grow sustainably. For more information about Abastena and this project, visit Abastena’s website or email marketing@esri-portugal.pt. Luís Campos, the GIS and certification manager for Abastena, coordinates sustainable forestry management plans for the company’s clients.